Now available: matching dishtowel for $9! 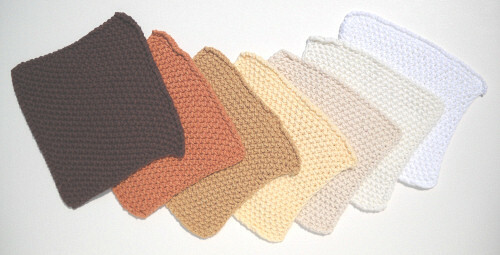 (Buy a set, dishtowel plus dishcloth, for $12.) Equipped with a button tab at the top for hanging on your oven handle or kitchen drawer handle. 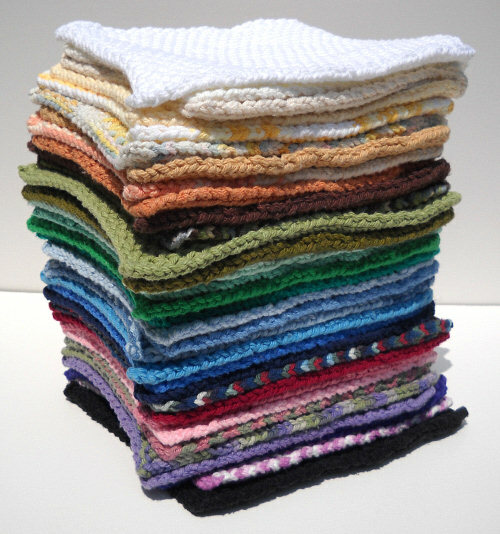 See Knitted Dishtowels for more information. 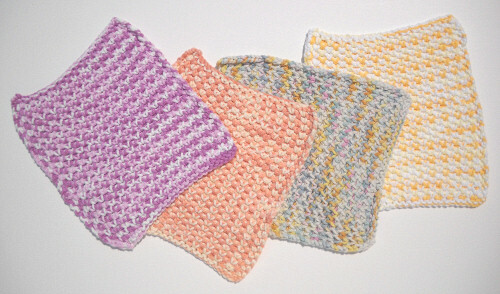 These knitted dishcloths are 100% cotton, pre-washed and preshrunk. 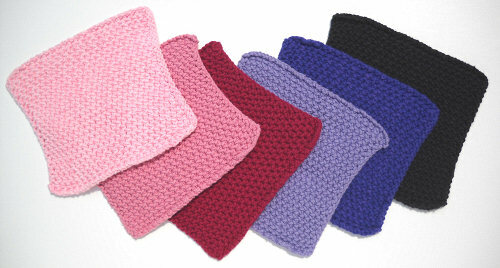 They are thick and sturdy, with a waffle texture that makes them very strong and absorbent. 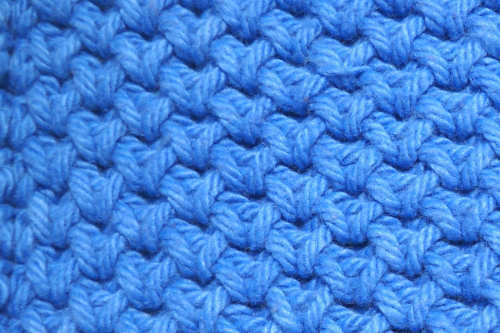 One side looks very similar to an ordinary knitted stitch. 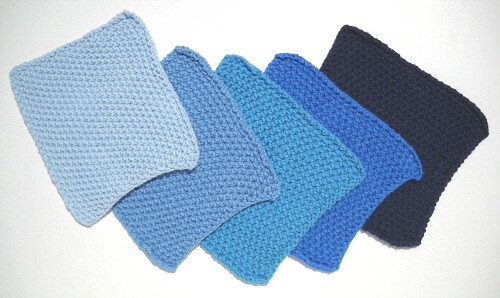 The other shows the waffle texture which makes the washcloths so absorbent. 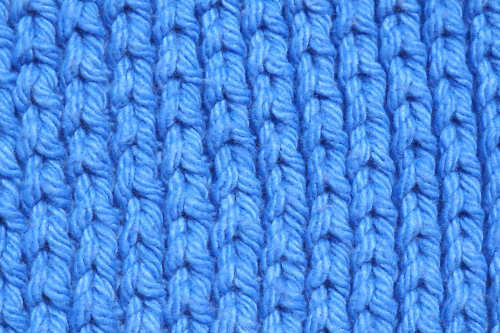 This dishcloth is heavy and sturdy, so it is ideal for tough cleaning jobs. Use it in the kitchen to wipe down counters, tables, and even the stovetop. The waffle texture will scrub most of your dishes clean with no risk of scratching. Although originally intended for kitchen use, I have discovered that the knitted dishcloths are wonderful in the bathroom as well. I use them to clean the tub, sink, and other bathroom fixtures. They will never scratch surfaces, and they can be machine washed and dried at high temperatures to kill germs. The colors may fade, but they will still be functional for many years. 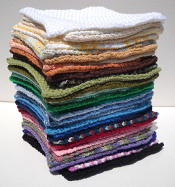 The knitted dishcloths can also be used to clean pet supplies or pet messes. Just wash and dry at high temperatures, and they're ready to use again! 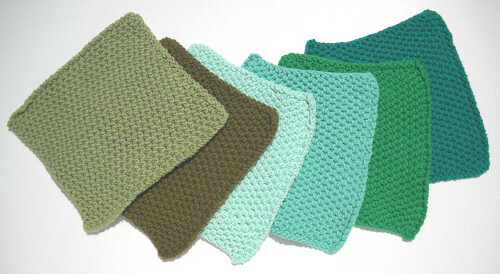 A set of knitted dishcloths is a natural housewarming gift. Choose seasonal or holiday colors for gifts at any time of the year.